National governments have a crucial role in providing guidance and support for the collection and use of water point data. Beyond the need for coverage statistics at the national level, districts and partners require water point data to plan and act to improve services. Good quality national water point monitoring data are also a catalyst for faster private and public investments. More investments are needed since the Sustainable Development Goals are not going to be met by 2030 at the current rate of investment. We wrote previously about three universal lessons for improving water point monitoring, however, there are also recommendations from our research on the use of water point monitoring to improve water services that are specific to national governments. 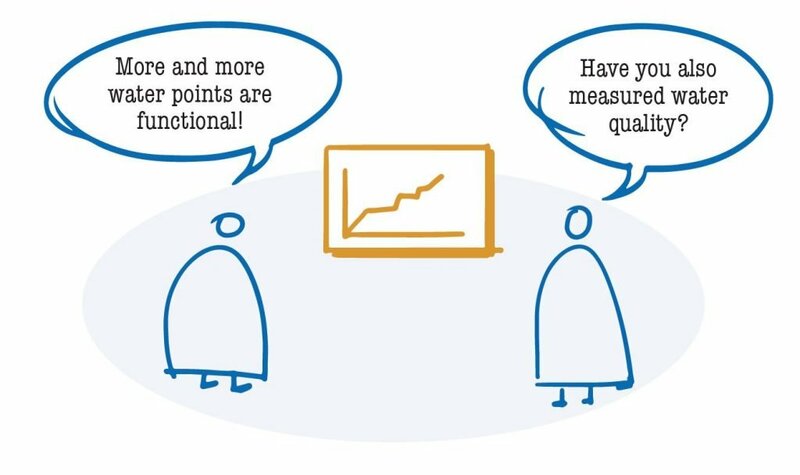 Help local governments and service authorities achieve results by incorporating service level and sustainability metrics that go beyond functionality into the national indicator framework. Provide monitoring results on paper where connectivity, power, and digital competency are limited. The Community Water and Sanitation Agency of Ghana developed the “Framework for Assessing and Monitoring Rural and Small Town Water Supply Services in Ghana” to measure the performance of service providers and the support they receive from districts. Routine monitoring of water points is essential to achieving Sustainable Development Goal target 6.1. This blog post has originally been posted on ircwash.org. Recent research by WASHNote and IRC Uganda shows how data about water points are being used to improve drinking water services. The research provides actionable guidance for national and local governments, NGOs, and donors on how to make the best use of water point data. Achieving Sustainable Development Goal (SDG) 6 by 2030 requires accelerating progress and investment dramatically and a shift to providing services instead of infrastructure. National policy targets and the SDGs are not going to be met at the current rate of investment and failure of existing infrastructure due to a lack of service monitoring using water point data. 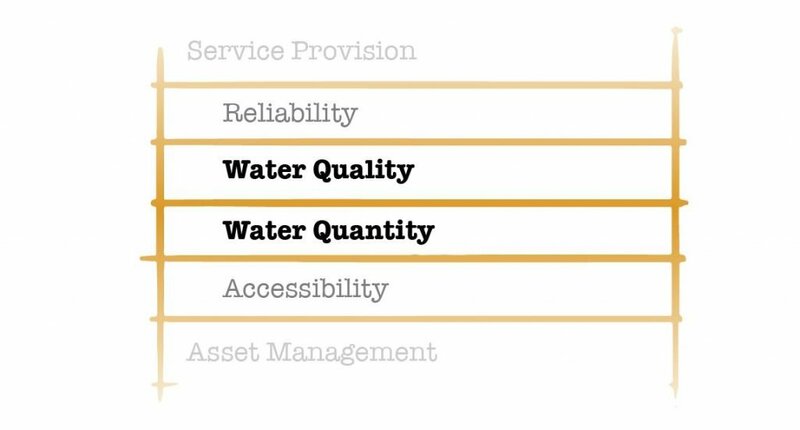 Evidence on the actual state of basic and safely managed services, including the location of water sources and water supply and their other attributes, will be pivotal for accelerating progress and ultimately achieving SDG 6.1. It is crucial for decision-makers to understand this role of water point data. Water point data are typically collected by community or geographical area and sometimes with a name, identifiers and/or GPS coordinates. Collecting these data is relatively expensive when it is not included in routine operations. Many inventories are undertaken only once without a plan for routine updates. National governments have used water point data to develop national policy targets and inform joint sector reviews. Local governments have used water point data to assess services, plan corrective actions, for example identifying hand pumps for rehabilitation, training water committees, and lobbying for funding. Today, it is possible for international and local stakeholders to find each other, work together and advocate for improving services. While there is great potential, some challenges hamper the widespread use of water point data, for instance, the focus on one-off data collection, diverse approaches to collection and analysis, and the extent to which data are – or are not – being shared publicly. However, there are a number of universal lessons that everyone should take on board. This will enable us to make better use of water point data. 1. Use unique identifiers, rich descriptions, and photos to ensure water point records are unambiguous and can be tracked over time. It should be possible to update a water point based on a phone call with a vendor or caretaker. Are national WASH M&E system important for accountability and transparency?